The Mission of MIT Collaborative Initiatives is to promote a systems-based approach to solving deep-rooted societal issues by engaging experts from a broad range of disciplines both within and outside the scope of a problem. It is the belief of the Collaborative that many of today’s most challenging issues can benefit from outside expertise. Debate among experts is valuable but is often self-perpetuating. Adding viewpoints from outside the conversation broadens the debate and may lead it in new directions. The Collaborative’s intentions are not to compete with people and organizations involved in addressing critical issues, but to swell the wave by broadening the discussion. In addition, the Collaborative has come to believe that a systems-based approach is vital to challenging widespread societal issues. Systems thinking looks at the interconnectivity of actions and studies a problem as a whole. This approach considers the system as a sum of its parts where a change in any one part has system-wide ramifications. Without this global view much time can be spent addressing issues in a single part of what is ultimately a comprehensively flawed system. We bring people together to instigate challenging discussion and debate around a given issue or set of issues. Often, the Collaborative is approached to bring a significant group together around a specific topic and facilitate constructive dialogue. At other times, the Collaborative identifies areas that it feels could benefit from this type of broad discussion and initiates the meetings. Meetings range in size and scope, and the Collaborative takes on large group meetings—in a discussion format—if it feels that a broad discussion across silos and with outside input could be beneficial. The Collaborative is currently focused on healthcare, but has facilitated these types of meetings around issues in global health, global finance, and other areas of widespread concern. We target specific areas of interest and develop projects by identifying and advising a project team, engaging influential external advisors, and building project objectives to apply a systems approach to various arenas. The ultimate goal of MIT Collaborative Initiatives is to shrink the existing gap between the way we think and what the world actually needs, and to encourage and develop innovative solutions to the enormous challenges that we as a society face in the beginning of the 21st Century. For more information on how we work, please see New Models. Dr. Albright is the Director of MIT Collaborative Initiatives which promotes a systems based approach to solving deep rooted societal issues by engaging experts from a broad range of disciplines both within and outside the scope of a problem. She is a faculty member and lecturer in general surgery at Harvard Medical School, and is currently on the Board of Research!America and the Bloomberg Philanthropies, and is a consultant to, and formerly chairman of, the Board of Regents of the National Library of Medicine at the National Institutes of Health, and also serves on the National Council of Advisors of the Center of the Study of the Presidency and Congress; formerly a director of West Pharmaceutical Services, Inc., State Street Bank and Trust Company, and the Whitehead Institute for Biomedical Research. She has also served as delegate to the World Health Assembly for four years and has been inducted into the Military Health System Honor Society. 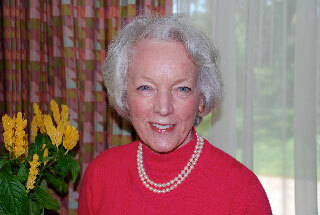 Dr. Albright is the recipient of the 2011 White House Fellows Valenti Award. Dr. Albright graduated from Harvard Medical School after attending Radcliffe College and has received eight honorary degrees. Earlier, she was a Gold Medal Olympic Figure Skater. Ellie Carlough is currently Associate Director of MIT Collaborative Initiatives (MIT-CI) and has been with the organization since September 2007. In this role, she is actively involved in project management, writing and strategic planning for MIT-CI. Ms. Carlough graduated from Mount Holyoke College and earned a Masters of Science in Non-profit Management from the New School for Social Research in New York, New York. After working in Manhattan for 10 years in banking and most recently as Director of Corporate and Foundation Relations at St. Vincent’s Hospital and Medical Center of New York, Ms. Carlough spent a time in the challenging position of full-time mother mastering the art of multi-tasking and social networking before joining MIT-CI.